Has your four-footed friend been incessantly scratching itself, leading to extra fur loss and angry-looking, bald patches of skin? Every dog scratches itself now and then. However, if your pet has itchy skin, the continuous scratching can lead to severely damaged skin with sores. In certain cases, your loyal companion may even start biting and chewing its skin out of sheer frustration. Several factors may be responsible for the constant itching in dogs, the most common reason being dry skin or allergies. Other causes may include skin infections caused by mites or yeast. If you’ve been worried and your little darling has been miserable due to this condition, we have good news for you. We have come up with some incredibly simple home remedies to treat itchy skin in dogs. These remedies can be used to treat the dryness and balance the pH of your pet’s skin, thereby providing relief from continuous itching. Additionally, if your pet’s itchy skin is caused by an allergy or yeast infection, some of these remedies include ingredients with potent antimicrobial properties that can even help treat itching in dogs with serious skin conditions like mange. 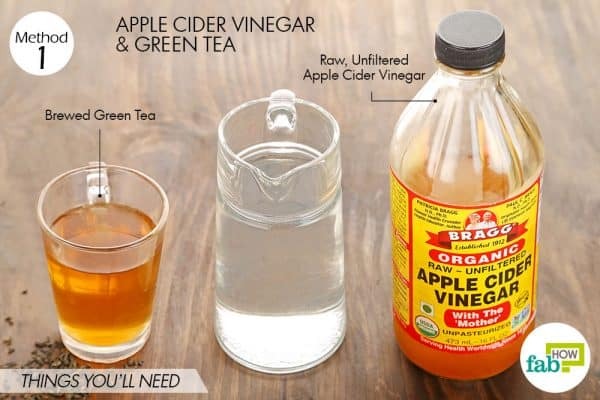 Raw, unfiltered apple cider vinegar is a highly recommended organic treatment for itchy skin in dogs. It helps balance the pH level of the skin. 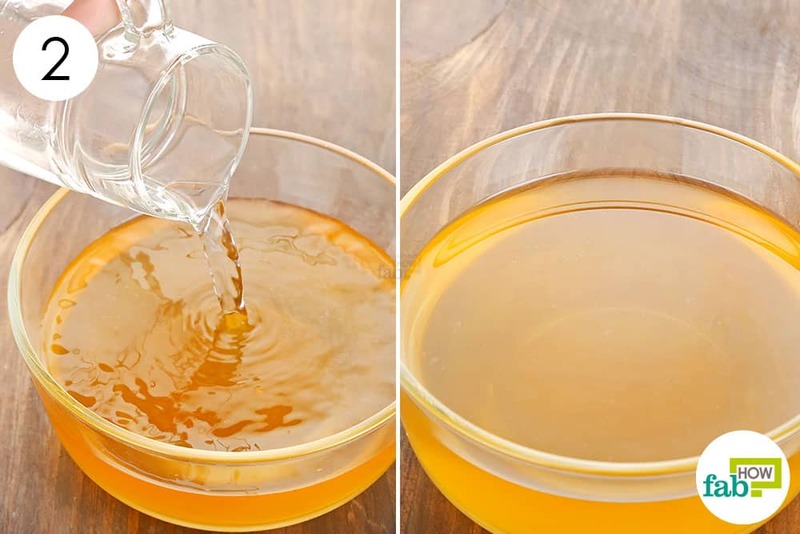 Unsure of the proof for repelling fleas and mites, this golden vinegar also has powerful antibacterial and antifungal properties that make it an all-around treatment for itchy skin in dogs. You can mix it with some brewed green tea and distilled water to make a rinse that will give your dog relief from the continuous itching. 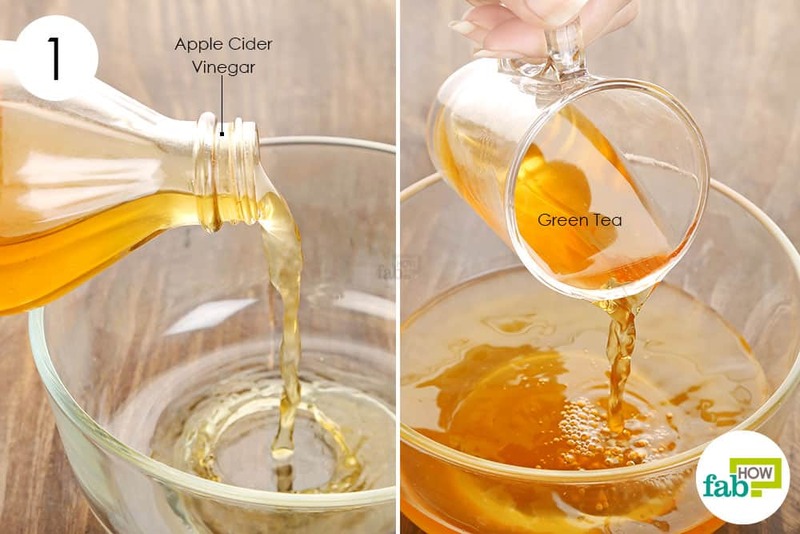 Pour ½ cup of apple cider vinegar into a large bowl. Add ½ cup of brewed green tea to it. Add 1 cup of distilled water and mix everything well. Bath your dog, then use the prepared rinse all over your dog’s coat. Gently massage it into your pet’s skin and fur, then rinse it off with water. If the itching is caused by bug bites, you can let the rinse air-dry to help repel bugs and even fleas. 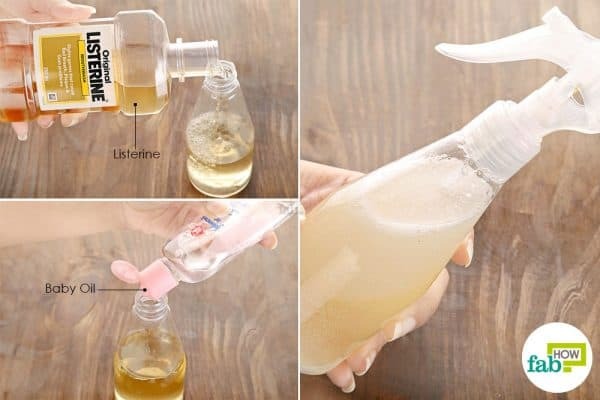 Use this rinse to clean your dog’s skin twice daily for at least 1 week or until the infection and itching are completely gone. This apple cider vinegar and green tea rinse can be stored in the fridge for up to 2 weeks. However, throw it out the minute you notice it turning moldy. Oatmeal flour is extremely nourishing and soothing when applied on the skin. 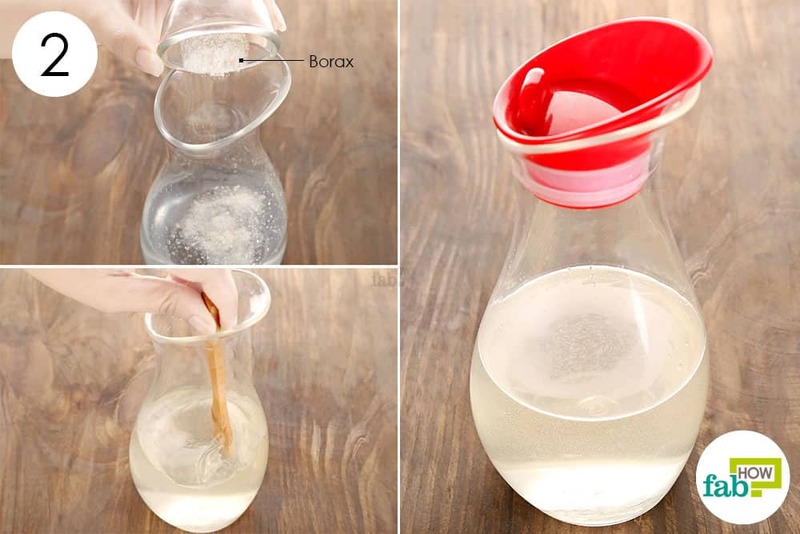 In fact, you can use it to make DIY scrubs for softer hands and even lighten your skin. An oatmeal bath will also be highly beneficial for your four-legged friend, providing instant relief from the relentless itching. The oatmeal powder will nourish and gently exfoliate your pet’s skin. You can also make an oatmeal shampoo to treat itchy skin in dogs. This remedy is especially recommended for dogs that have dry, cracked skin with redness and irritation. Grind some oatmeal into a fine flour using a mixer or even a coffee grinder. 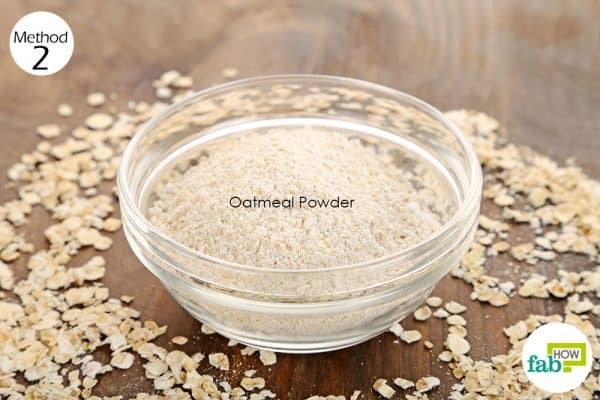 Fill a tub with warm water and mix in about ½ cup of oatmeal flour. Put your dog in the tub and stay with him while he soaks in the oatmeal bath for at least 15 minutes. Alternatively, you can add 1 tablespoon or more of ground oatmeal powder into your dog’s regular shampoo and bath him. Give your pet a daily oatmeal bath for at least 1 week or until the itching goes away completely. Extra-virgin, pure coconut oil consists of medium-chain fatty acids that work to rehydrate and moisturize dry, itchy skin. Additionally, it has natural antimicrobial and anti-inflammatory properties that make it helpful for dealing with itchy skin in dogs due to a variety of causes. 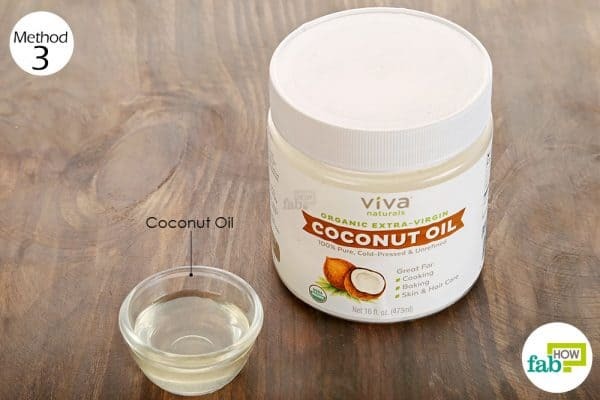 You can massage extra-virgin coconut oil into your dog’s skin to provide relief from itching and also to help repair the scratched and torn skin. 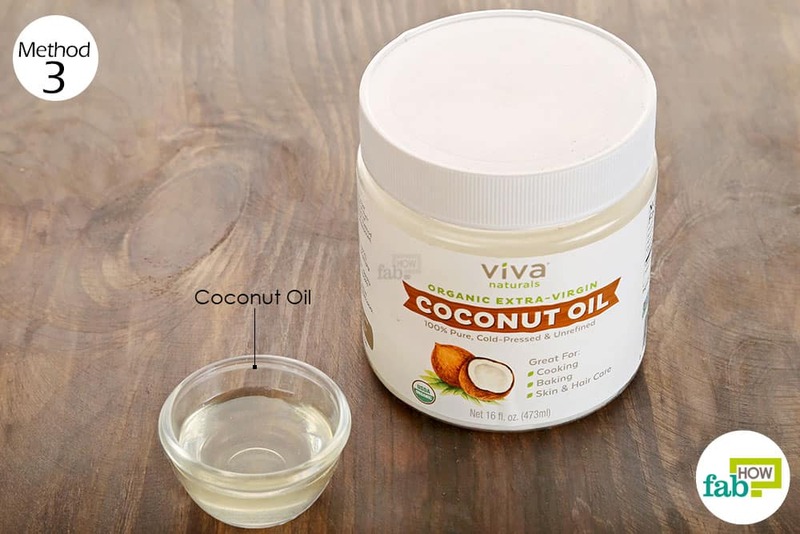 Alongside topical application, you can feed your dog extra-virgin coconut oil. Note: We recommend that you consult your veterinarian to determine the appropriate dosage according to your pet’s age and size before giving any compound orally as there can be side effects. However, we will give you a general idea of the daily recommended dosage: For a 20-pound dog, give ½ teaspoon daily, while for a 50-pound dog, give 1 teaspoon twice daily. Give your dog coconut oil externally until the itching and scratching are completely gone. Continue massaging the oil into the affected skin for at least 1 week to help clear up the infection and prevent a subsequent flare-up. Omega-3 fatty acids are an excellent supplement to boost your health. 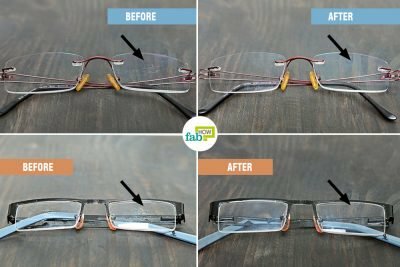 Did you know that you could also use them to improve your pet’s health and get rid of his constant itching in the process? These fatty acids help reduce skin dryness as well as symptoms of an allergic reaction. Additionally, their anti-inflammatory properties will help alleviate the itching. Fish oil containing omega-3 fatty acids is also great for your pet’s heart and cardiovascular health, especially for older dogs. 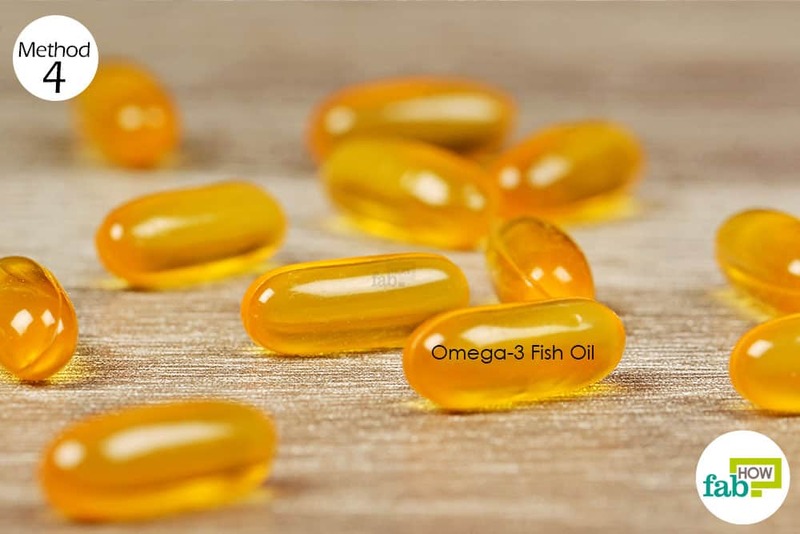 Look for pure versions of fish oil with low levels of flavor and odor. Check the product details to ensure that the specific brand tests for radiation, as it has become a must after the Fukushima nuclear disaster in Japan. The easiest way to get your dog to consume fish oil is by piercing the capsule and adding the liquid directly to its moist food. While it is best to consult a veterinarian, we’ll give you a general idea of the recommended dosage. For otherwise healthy dogs, the recommended dosage ranges from 22 to 100 mg per pound of body weight depending on the breed, age, and health. Do not go beyond this limit, as too much fish oil can also cause adverse health effects in your pet. Feed fish oil daily for 7 to 10 days to treat itchy skin in dogs. You can also make it an essential part of your pet’s daily diet to boost his overall health and stamina. 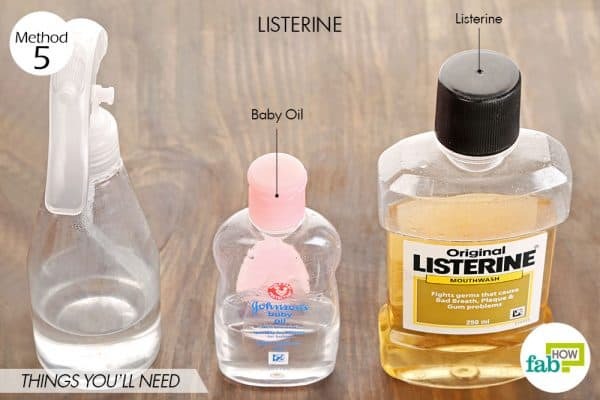 Listerine may be marketed as a mouthwash, but in reality, it is a versatile ingredient that can be used for a wide variety of skin, hair and health issues. It contains various herbal oils that give it potent antifungal properties. As far as your furry friend is concerned, Listerine in combination with baby oil can be used to help treat serious conditions like mange and also to help get rid of fleas. This remedy is particularly good for itchy skin in dogs due to a bacterial, fungal or yeast infection. Pour about ½ cup of water into a medium-sized spray bottle. Add 1 tablespoon each of Listerine mouthwash and baby oil. Screw on the spray nozzle and shake well before use. Spray the solution on the affected areas twice daily until the itching and infection are completely gone. With regular use, you can get rid of both within 1 week. Benadryl is an over-the-counter antihistamine drug that can also be used to alleviate continuous itching in dogs. It primarily functions as an anti-allergic agent and can relieve itching immediately in your dog upon administration. However, the moment you stop giving your pet Benadryl, the allergy will most likely resurface if the allergen is something in your dog’s home environment. 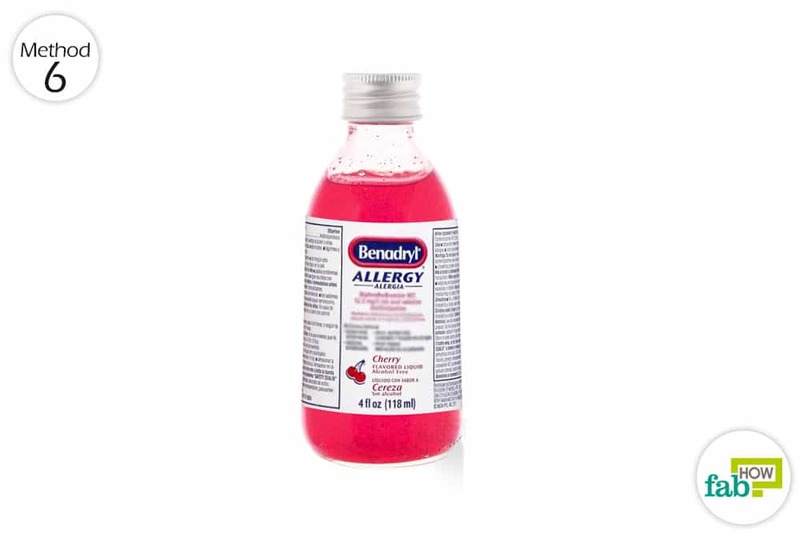 Give your pet Benadryl to eliminate continuous itching caused by an allergic reaction. Since Benadryl is a drug for human consumption, consult a veterinarian to determine the exact dosage according to your dog’s size and weight. Benadryl can prove to be a lifesaver if your pet starts going into anaphylactic shock due to a severe allergic reaction. In the meantime, also take steps to determine and eliminate the source of the allergy. 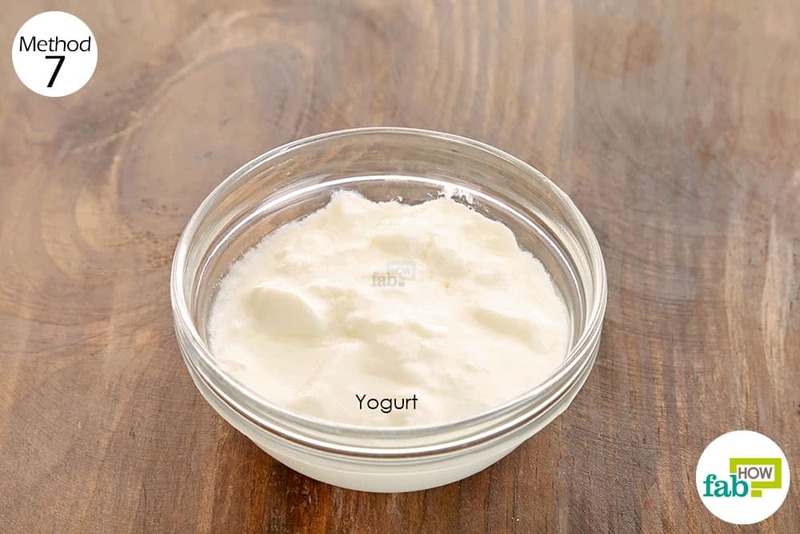 Yogurt is rich in natural probiotics, or good bacteria, that may help keep skin and yeast infections away. Feeding your dog a daily dose of low-fat yogurt may help maintain a healthy level of good bacteria in its gastrointestinal tract, alongside boosting its immunity and health. Feed a puppy 1 teaspoon of low-fat yogurt once daily. For older dogs, you can go up to 1 small bowl of low-fat yogurt per day. Just add it to their daily meal. Feed yogurt for at least 1 week to treat itchy skin in dogs. You can apply a simple baking soda paste on the affected areas of your dog’s skin to help get rid of any pathogens causing the trouble and also to gently cleanse and exfoliate the itchy skin. 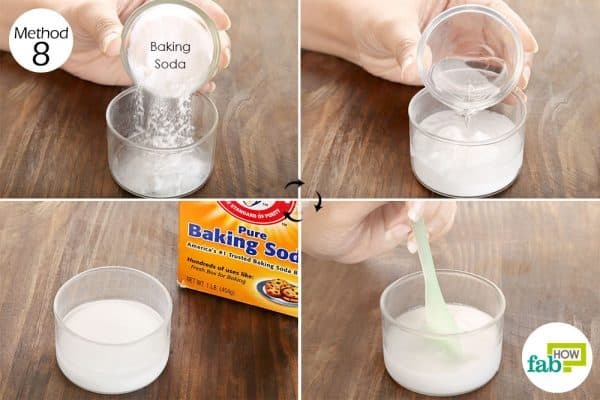 Put about 2 tablespoons of baking soda in a container. Add water and mix well to form a smooth paste. Leave it on for 15 to 20 minutes, then wash it off with water. Repeat twice daily till the itching is completely gone. 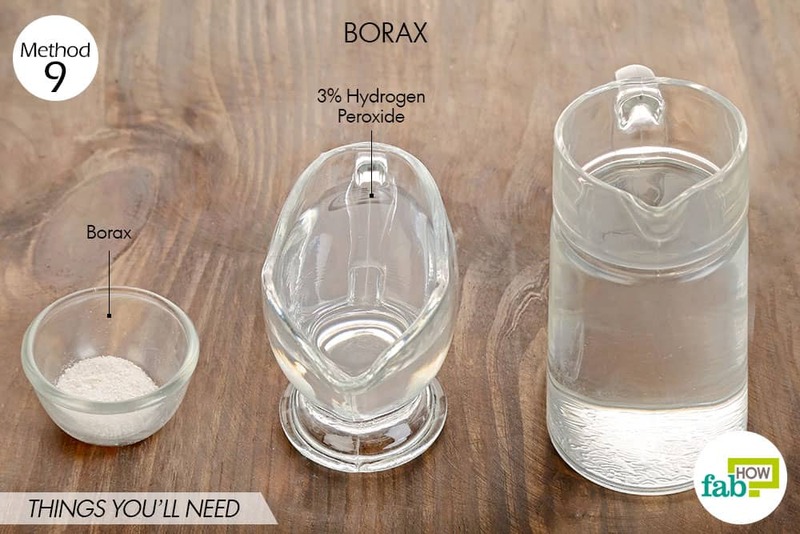 Borax is the salt form of boric acid, and it’s particularly powerful as a natural insecticide and disinfectant. 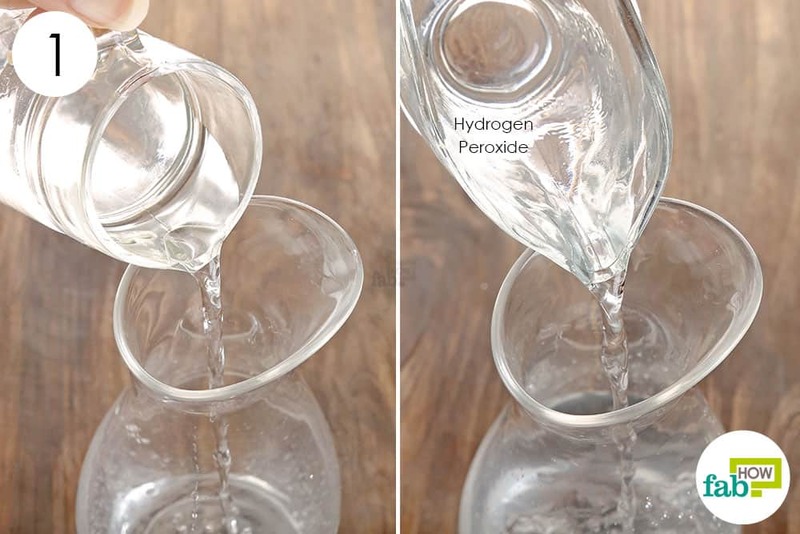 Hydrogen peroxide, which acts as a natural sanitizer and cleanser, further helps clear up skin problems like itching. Caution: Since this is a quite strong concoction, we recommend that you consult your vet first. Add ½ cup of 3% hydrogen peroxide to it. Add 2 teaspoons of borax and mix well. Put the lid on the pitcher and rinse your pet with this solution, especially on the affected areas. Wash or rinse your pet with this solution at least 2 times a day until you get rid of the itchy skin. If your dog is suffering from persistent itchy skin accompanied by diarrhea and loss of appetite, chances are that the constant itching may be a manifestation of food allergies. You can use the process of elimination to determine what may be causing your dog’s allergic reaction. Make a note of what he ate the day the itching occurred and make changes in diet accordingly to treat itchy skin in dogs. Many times, commercial dog foods have additives and preservatives to which dogs can be severely allergic. Check the label to find out the additives and preservatives in the food and research (or ask your vet) which ones can cause allergic reactions in dogs. Check and see if your dog’s itching goes away after changing your dog food brand. 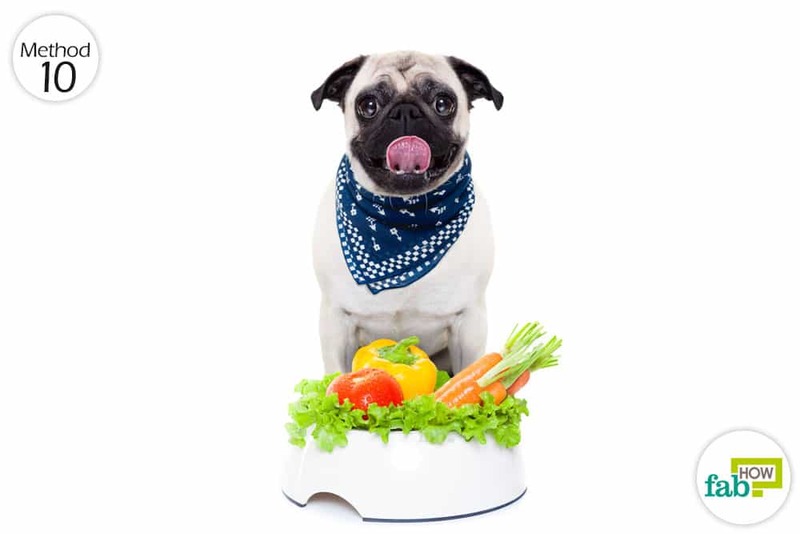 Another option is to switch your dog to an all-natural home diet with help from a nutritionist to make sure the diet remains balanced. Similarly, you can feed your pet with organic food instead of commercial dog food to see if the itchy skin problem goes away. Always consult your veterinarian before starting any home remedy, especially those that are administered orally. Keep your dog well-groomed. Give him regular baths, regularly brush out his coat and check for any fleas, ticks or irritated skin. Keep your pet away from other dogs until the itchy skin is resolved. If you have multiple dogs at home, isolate the one with the itchy skin in order to prevent it from spreading to the healthy dogs. Make sure you use only warm water to bathe your pet. Hot water will further dry out and irritate the skin, leading to increased itching. Is a weak saline solution good for a dogs skin with yeast?